This morning on the common I let the lovely warm sunshine melt into my face and hands and gently warm me. I have to confess that this really freezing cold spell we are having has left me feeling quite cold and stiff and a bit cranky. I need warmth! please.....and lots of it. Yesterday evening I came home and realised I needed to create nurture and a gentle place to rest for the evening. Queue, an evening on the couch, blankets, hot water-bottle, crochet and mollie makes and lots of heat. Just what the doctor ordered! It was was made even better by the fact I had this waiting for me in the fridge ready to just pop in the oven! 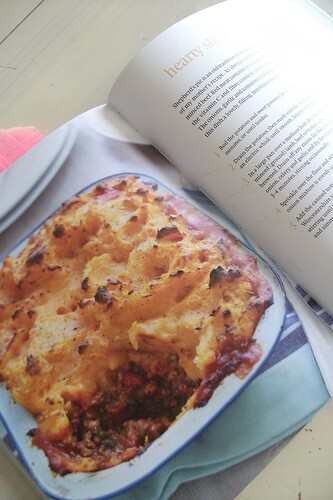 A hearty shepherds pie made from Sally bee's book, The Secret Ingredient. I know, it's just gets better! I had made this yesterday and then not actually cooked it in the evening due to other events. So it was just waiting.......and didn't require any real effort, other than eating it! I need easy crochet at the moment, I found some colours which are really calling me at the moment. Found a combination that I like and am just staying with them. Nice and easy. Gentle colours, with a bit of zing in the middle all edged in a lovely grey blue, which is most definitley one of my soul colours. Do you have a soul colour? I think soft blues and greys is where I go to rest when I have been working with a lot of colour. I even found a spot in the midday sun on my bench for a while today. It's nice to crochet something for me. Something simple and that doesn't require any real decisions...... It's surprising how much decision making can go into bright and random crochet! At this point it could be a cushion, but I quite fancy something simple to drape across the back of my sofa. Something that will sit quite easy with what's here. I think this would work. I'm starting to thinking about adding some light and pretty spring colours, to my living space. Perhaps some sweet florals and the colour green is begining to call a little, it's quite exciting really! I have to say an easy evening on the couch is enough to restore optimism and a concerted effort is needed to do this regularly! If we can listen to ourselves and hear when we need to bring nurture into our lives and be gentle, I think the world would be a better place!! 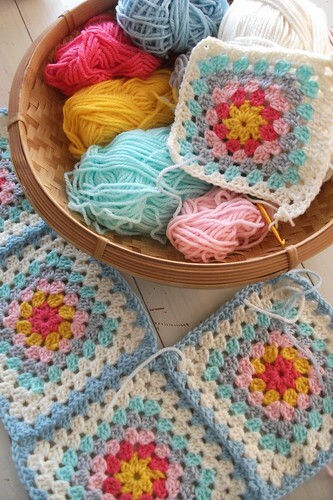 Hi Heather, Warmth, good food, colorful granny squares, an easy rhythm and a little bit of ME time!!! Honestly, we should all do it more often!!! You go girl!!!!!!!! 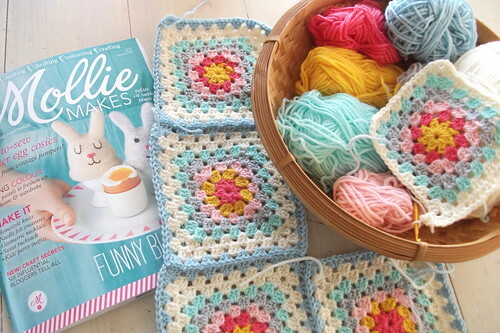 Love the crochet colour combination - soft and dreamy! I love the soft, spring pastels you've chosen. They seem to represent this time of year very nicely - cool greys and blues mixed with warmer pops of colour. Sometimes a bit of samey, easy, no-decisions crochet is heaven. ooh I love those colours. just gorgeous! I feel more relaxed right now! What a peaceful post. Sky, colors and your words... I felt so fine myself..
Ooh, I love finding new blogs, especially ones a pretty as yours! Just discovered you via Sophie at Hettie Brown, and now going to grab a nice cup of tea and browse through if I may? Yes I totally agree with the need to nurture and take a step back once in a while. Its not always easy but its essential so nice to know you have managed some calm time. I'm loving the colours on your grannies, we all need a bit of spring in our lives. I'm jealous you have had some sunshine and even bench time! 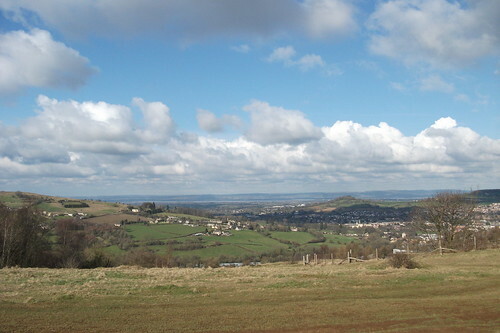 Its done nothing but rain here and I'm now graving spring days, sat outside with a magazine and tea. How lovely. Winter has been sooooooo long. Best wishes for your nurture time and I look forward to seeing your finished blanket (if it ends up as that! )and the new bits and bobs you are wanting to add into your living room. 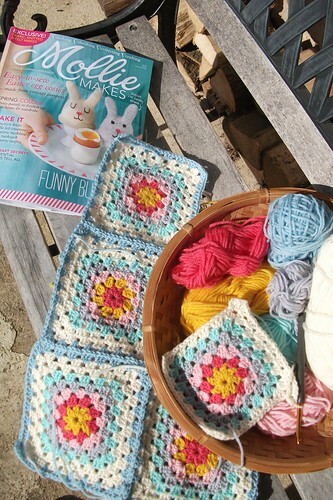 love your spring coloured crochet ... your sunny bench spot looks like the perfect place to spend some time with wool & reading your new magazine. Have a lovely day Heather. Oh dear Heather, so sorry you haven't been well! Hope you're feeling better after that hot water bottle and yummy pie! I have to learn how to make those, it's something I've never tried before. It's lovely that you are crocheting for yourself, and yes! Spring is definitely around the corner. I love the colours of your crochet, and how nice to be able to sit outside, it's been cold and rainy again here. You are so right! We are not always as gentle with or as nurturing of ourselves as we should be. I love that word nurture. I use to be very good at it, but not at the moment. What lovely things to nurture yourself with. And your shepherds pie reminded me of something my little one said when she was even littler than now "I don't like shepherds pie, because I don't like shepherds"! !